To catch sight of a BMW Alpina is a fortunate occurrence. 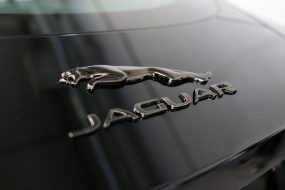 They are extremely rare, but to any car enthusiast it’s a badge that means business. The official tuning and development arm of BMW, Alpina are not some two-bit company working out of an oily garage producing cars with tacky after-market body kits and bean-can exhausts. 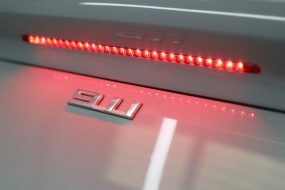 Instead, they are the only company to work on engine and chassis development with BMW’s official approval, producing BMW’s that put out serious power, with advanced chassis modifications for sublime handling, and ultra-luxurious interiors. 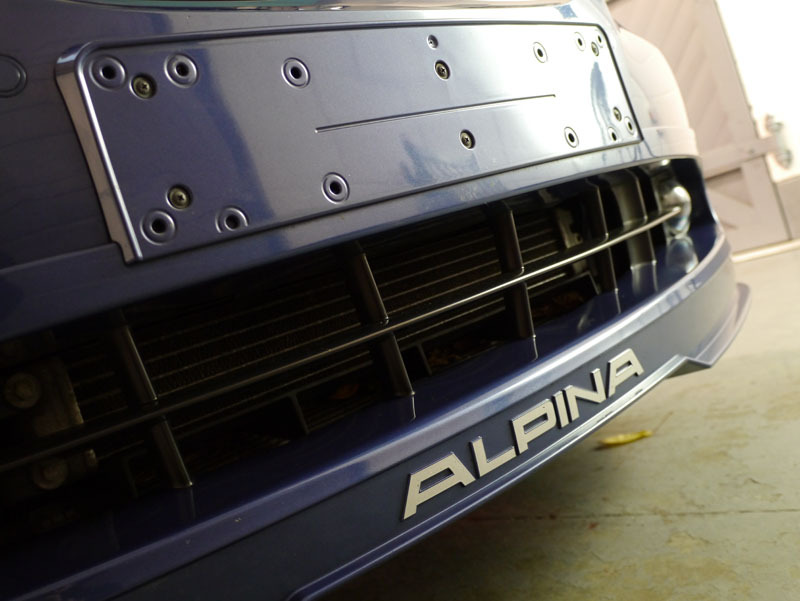 With just 2,000 Alpina’s produced each year, these are not cars you’ll see often. 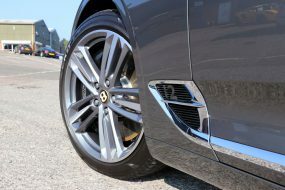 Look out for their trademark multi-spoke alloy wheels filling the arches as a starting clue. 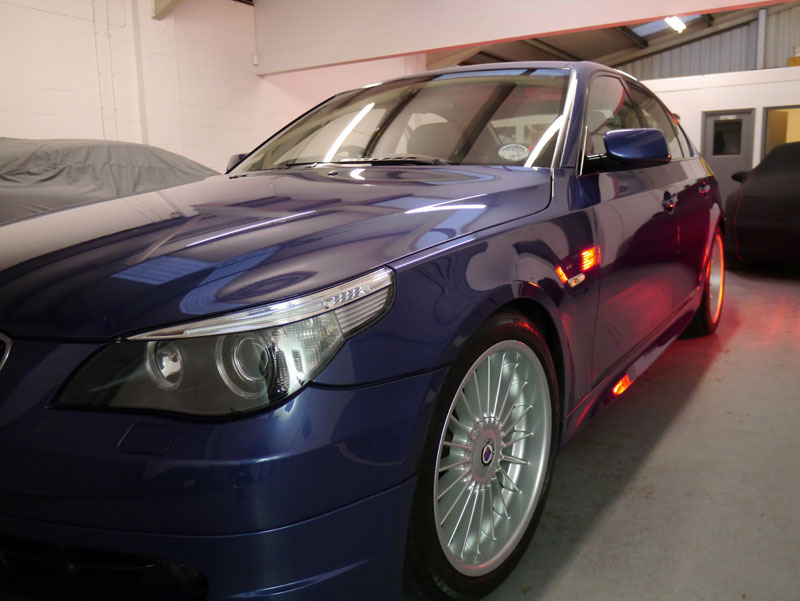 The Alpina B5 Supercharged that was brought to us for a Gloss Enhancement Treatment is a monster. 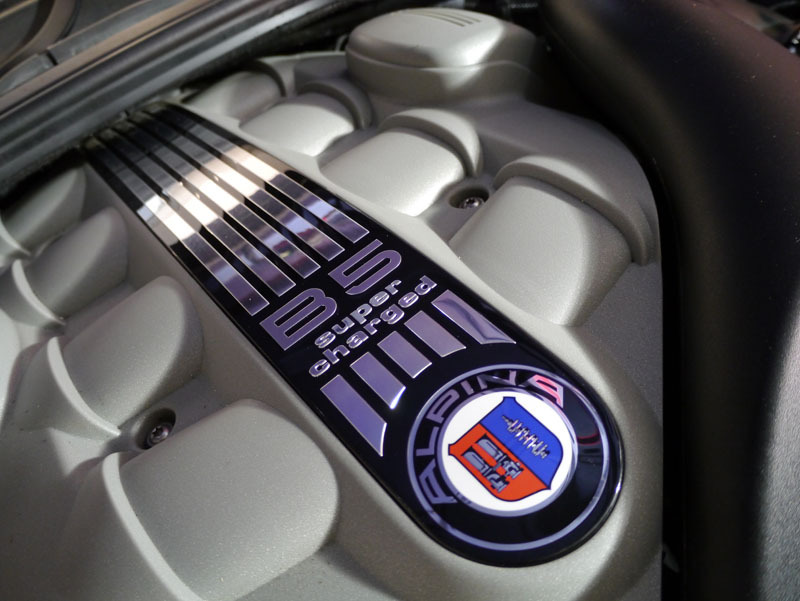 It is a 4.4 litre supercharged V8 producing 492 horsepower and 516 lb ft (699 Nm) of torque. This planet-pulling power equates to a 0 – 62 mph (0 – 100 kph) time of 4.7 seconds and an eye-watering top speed of 195 mph (313 kph). All those horses would have to stay put for a while though, as we worked our magic with a Gloss Enhancement Treatment, to freshen up Alpina’s rich blue paintwork. 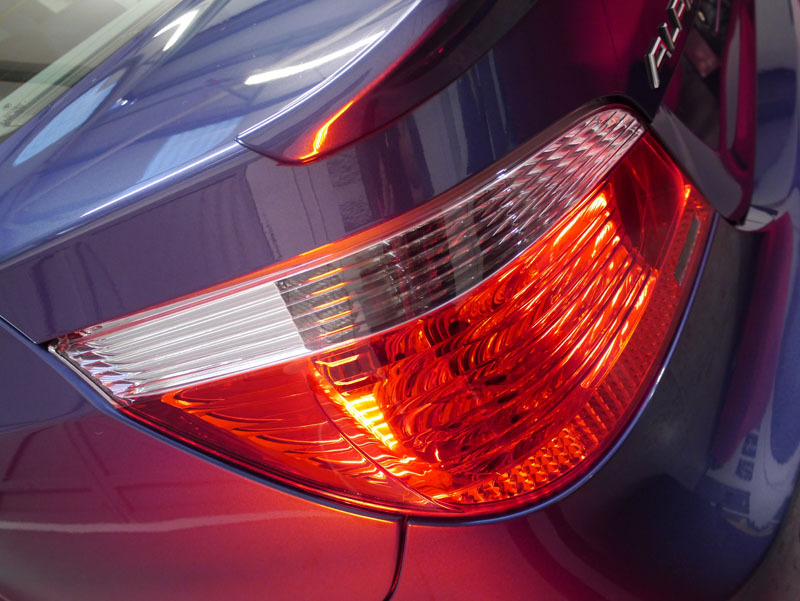 Some parts of the car were actually dulled, and more than overdue for an enhancement process. 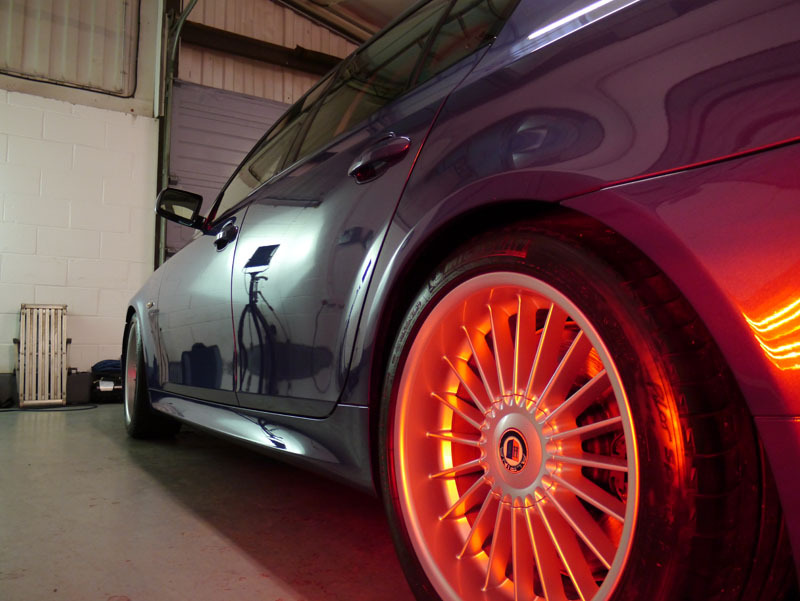 First off, the recognisable 19″ multi-spoke alloy wheels were cleaned using Valet Pro Bilberry Wheel Cleaner and Bilt-Hamber Korrosol Fallout Remover, to ensure the wheels were safety cleansed of embedded brake dust and metal particles, which can lead to corrosion and rust. Next, all door shuts and panel gaps were degreased using Bilt-Hamber Surfex HD – a highly-effective yet non-toxic and solvent-free product. That done, we gave the B5 a soak with Ultimate Snow Foam, lifting dirt and road grime away from the paint surface, so it could then be rinsed away with minimal damage to the paintwork, preparing it for the next stage; shampooing. 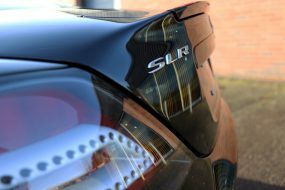 This was undertaken with the wax-free Valet Pro Concentrated Car Shampoo, along with our own Ultimate Finish Two Bucket Set With Scratch Shields – a must for safe-method car washing. The Alpina was then rinsed off with water firstly run through the superb Aqua Gleam 0ppm De-ionising Water Filter system, which filters out the minerals from the water that causes nasty watermarks and streaks. What little drying there was to do, thanks to the Aqua Gleam system, was towel-dried using the super-soft Gtechniq Zero Scratch Microfibre Drying Towel. Time for the paintwork to be decontaminated, and a Bilt-Hamber Auto-Clay Original was called into action, quickly removing both industrial and environmental fallout engrained in the paint surface. Fully cleansed of fallout, we were on to the paintwork correction stage. 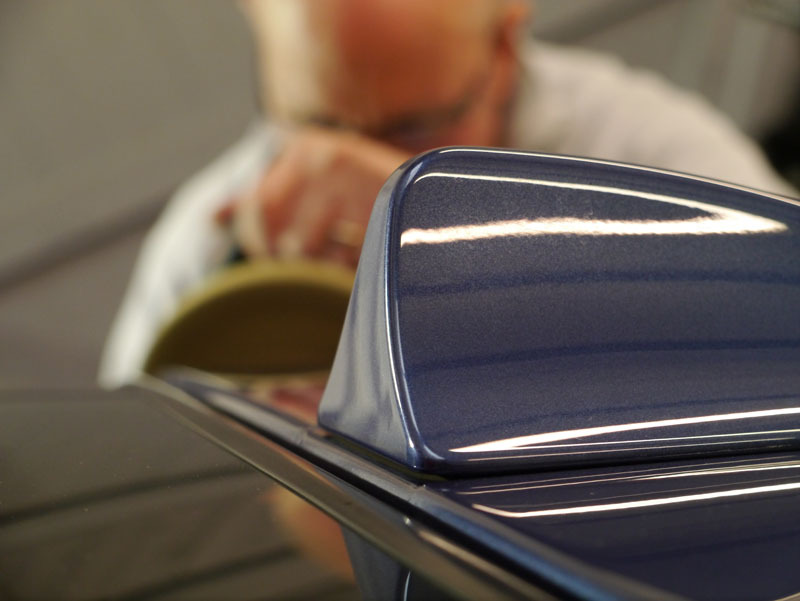 A FLEX PE14-2 150 Rotary Machine Polisher was the tool for the job, and we began the first stage with Meguiar’s Ultimate Compound, which works fast to remove even heavy swirl marks using safe micro-abrasives. This was applied using a 3M PERFECT-IT III Yellow Polishing Pad. 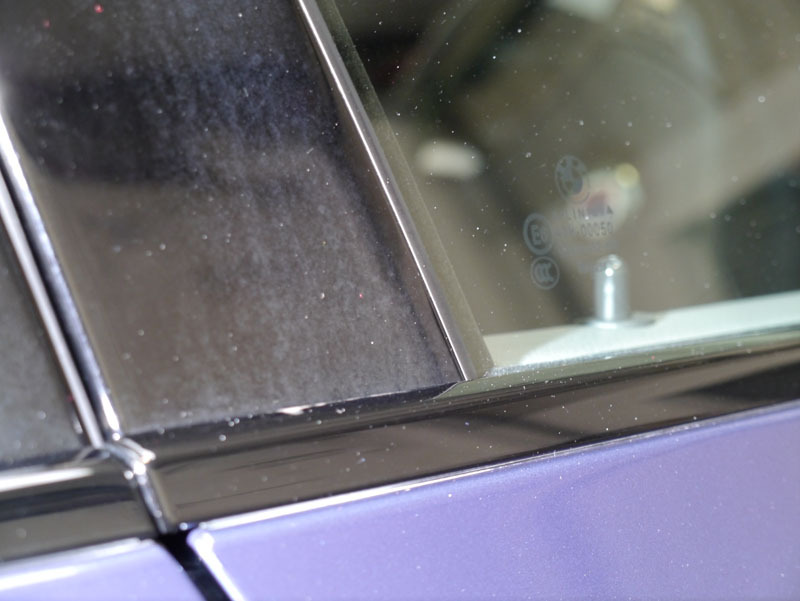 Swirls and scratches removed, although the Meguiar’s Ultimate Compound leaves a good finish, the paint would be perfected and brought back to deep lustre using SCHOLL Concepts S40 Anti Swirl-Compound Black – for darker-coloured cars – alongside a SCHOLL Concepts Black SOFTouch Waffle Finishing Pad. Paint looking rich and deep again, it was time to lay down some protection to keep it looking that way. The two-stage Gtechniq EXO v2 & C1 Crystal Lacquer + Kit was chosen, for its extreme durability, scratch resistance, dirt and water repellency, plus the high-shine finish it leaves. Paintwork looking perfect once again, it was time to get all the glass sealed, and for this we used Nanolex ULTRA Glass Sealant, which works so efficiently that the faster you travel, the less you need to use your wiper blades! A brilliantly-engineered product. 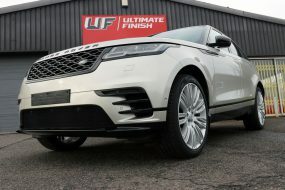 The big 19-inch alloys were also sealed, again using a Nanolex product – this time Nanolex ULTRA Paint & Alloy Sealant. Finally, any britework was cleaned using Gtechniq M1 All Metal Polish. 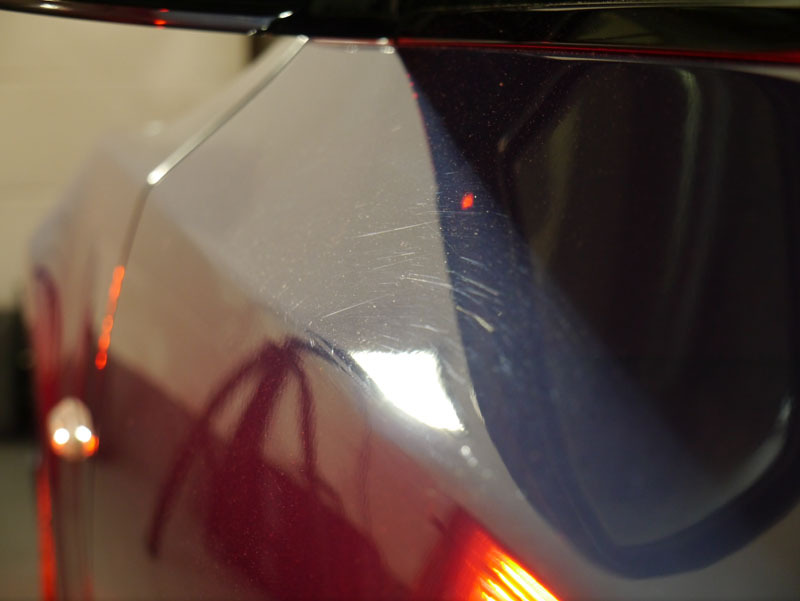 The results of our Gloss Enhancement treatment detail are clear to see. The Alpina B5 Supercharged looks factory-fresh, with the blue paintwork refreshed and glossy again, the side panels reflecting all that the über-powerful Alpina B5 passes.